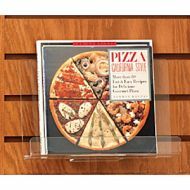 Heavy-duty plastic display pieces are more durable than ever. Many design and style available to meet your display need. 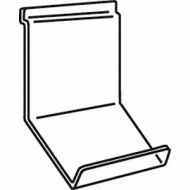 Identify featured collections or post information using sign holders. 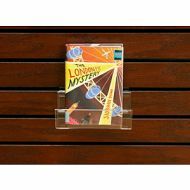 Durable acrylic holder has an angled design for easy viewing, with a retaining lip to keep books in place. 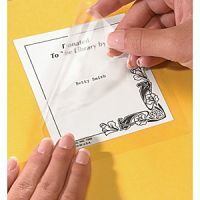 Get creative and use them for comic books, graphic novels — even large children’s books. Can either be used with slatwall or wall-mounted. 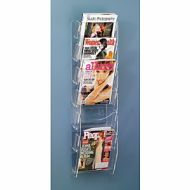 Unlike their rigid counterparts, these flexible acrylic pockets offer a gentle “give” that holds pamphlets, magazines, and literature securely in place whether full or partially filled. 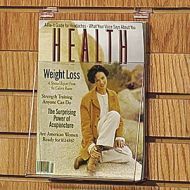 Slatwall display design offers crystal-clear acrylic construction and flexiblity. 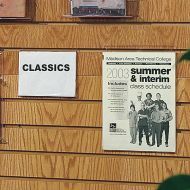 Hold CD, DVD, Softcover books and others. 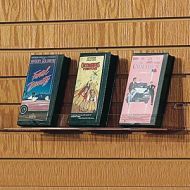 There are a wide variety of accessories available to display media, books, literature and more on your slatwall fixtures. 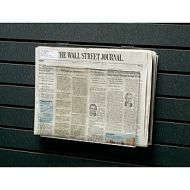 Great for showcasing special titles and distributing information on slatwall panels.